Scottish Bowel Screening began in June 2007 and includes all men and women between the ages of 50-74 every two years. For further information, please contact the Scottish Bowel Screening Helpline: 0800 0121 833, 8am and 6pm, Monday to Friday, and all calls are dealt with in the strictest confidence. Or visit the Bowel Screening website here. Women age 50 – 70 are invited for breast screening every 3 years. A woman is not invited the moment she becomes 50, she is invited when we are screening her GP practice. A woman should get her first invitation before her 53rd birthday. If you have just missed out on your practice being invited and have now turned 50, you can self refer or wait until next round of screening. Women for this practice will invited to a mobile unit situated in the car park at ASDA Govan. The service does not operate a drop in facility, breast screening is by appointment only. 5000 lives are saved by cervical screening in the UK every year. Could yours be the next one? 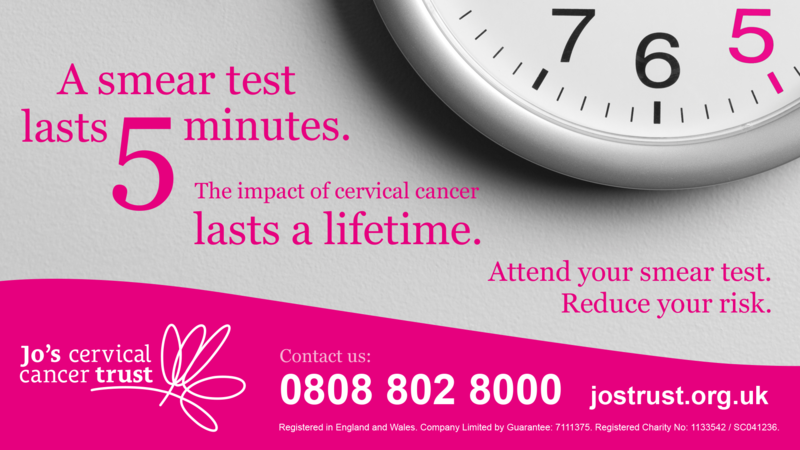 Don't ignore your invitation for your smear test.